This morning I planted the second wave of tomatoes and peppers for my fall garden. 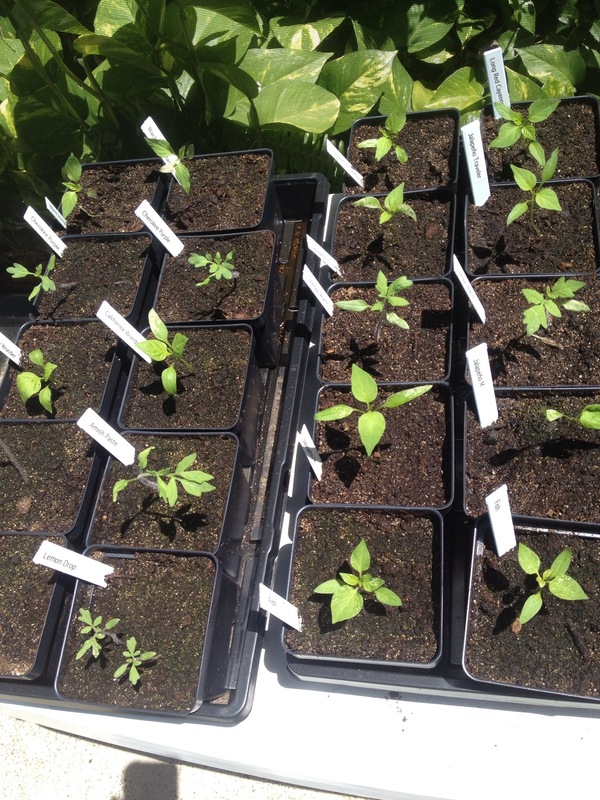 The first wave was planted in early June, and those plants have all been moved from their starter tray into medium-sized pots filled with nutritious Mel’s Mix. They’re spending all day in the filtered sunlight of our screened-in pool enclosure now. They’re still small enough to where I pull them in under a shelter if it looks like we’ll get a heavy downpour. Soon, I will start exposing them a few hours at a time to full-strength sunlight in the yard. Before you know it, they will be out there full time. This morning’s planting is part of my continuing quest to find the best time of year to start fall plantings. As I reported previously, last year I started my tomatoes and peppers in early August, but didn’t see the first ripe fruits until New Year’s Day. Is it asking too much to harvest my fall garden during the fall? Logic suggests that the first wave should be ready around the October/November timeframe, and that today’s plants should start to yield fruit in the November/December range. But then, I have been gardening long enough to know that gardens follow their own logic and do not always conform themselves to the human perspective. The bottom line is that these plants will be ready when they’re ready, assuming I do my part and Mother Nature doesn’t come up with any unwelcome surprises. Virginia’s Yellow Tommy Toe — Although most written accounts credit their origin to the Ozarks, Tommy Toe tomatoes are frequently found growing as volunteers along the periphery or even outside of gardens throughout southern Appalachia. Given the patterns of human migration in recent centuries, I can’t help but give more credence to the oral history version that places the origin farther east. Unlike their more refined cherry and grape tomato cousins, Tommy Toes have not been selected for their sweetness. Instead, they tend to have more of the tangy flavor characteristic of full sized tomato varieties. They also tend to be disease resistant and to continue yielding fruit late into the fall, both of which are attractive qualities to me here in Central Florida. Tommy Toes are also commonly saved as heirlooms and passed down from one generation to the next. This particular variety is from Lee County, Virginia, which is the westernmost county in the state, bordering on both Kentucky and Tennessee where the three states meet at the Cumberland Gap. Although I don’t have any childhood memories of that region, many of my ancestors just a few generations back either lived in or near Lee County or passed through the region while migrating to Kentucky. 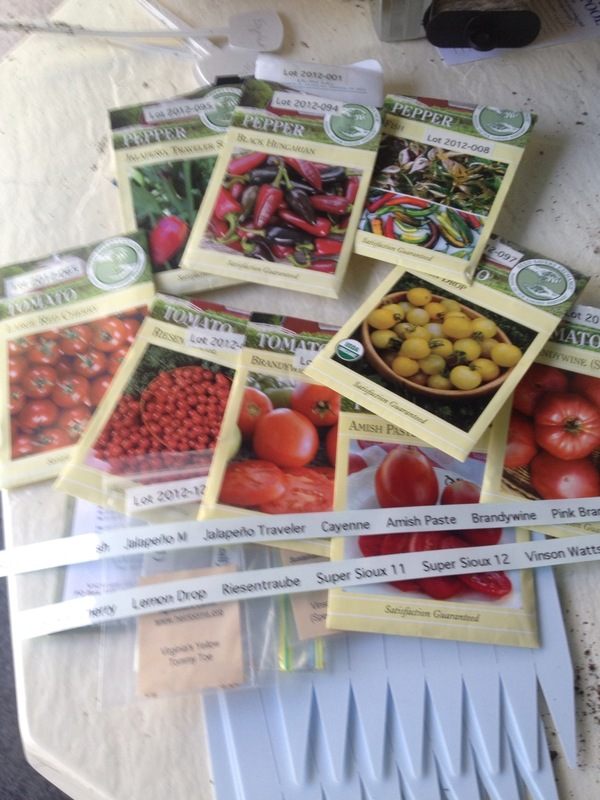 I purchased these seeds from the Sustainable Mountain Agriculture Center. Taken together, this adds up to 32 starter tray compartments. Each compartment holds the promise of a season’s worth of growth, leading to whatever yield is within that plant’s potential. 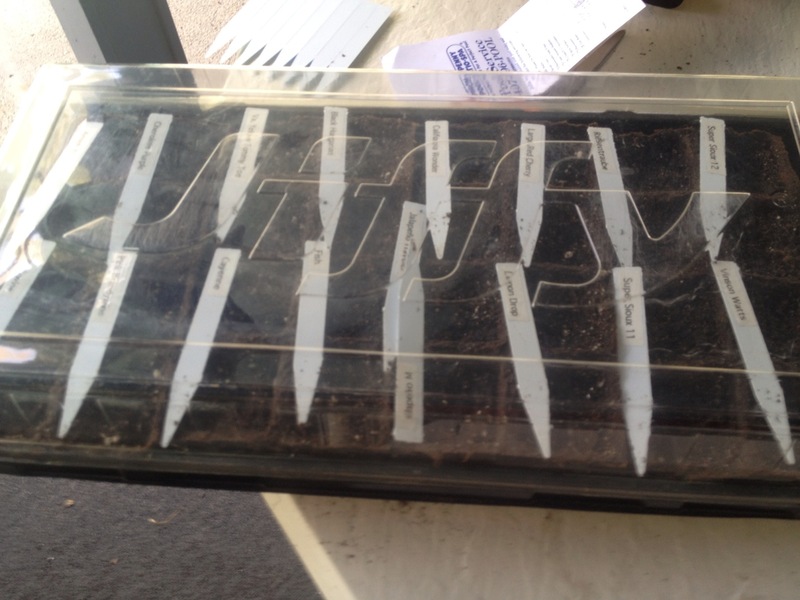 In turn, as I dropped the seeds into each compartment, I made a promise to nurture the tender seedlings and to tend to the plants as best I can throughout their lives in my garden. This seasonal ritual represents an interspecies pact as old as civilization itself. Yet, for me it’s as fresh as this morning’s planting. So lucky to have two waves of goodies in your season(s)! Yes, we certainly do have long seasons here! It gives me lots of leeway for experimentation. You really have a lot of plants there! I just ordered more seeds a couple of days ago and can hardly wait for them to arrive. Also, I’ve been thinking about trying the’Cherokee Purple’tomato and was wondering if you’ve had good success with them. I’m in zone 8b, Mississippi Gulf Coast. Thanks! This will be my first time with them. I just keep seeing good reviews about them, so I figured it was worth a go. I’m assuming since it emerged out of the Smoky Mountain region, it will do better during a not-so-hot time of year, so I’m growing them this fall. So far, the first starts are doing very well, but it’s way too early to tell about how well they will produce. Thanks, I will certainly follow your progress!